I took this image on the banks of the Illinois River just south of Chillicothe, IL. I saw this beached barged just sitting there rusting away so I started taking pictures. 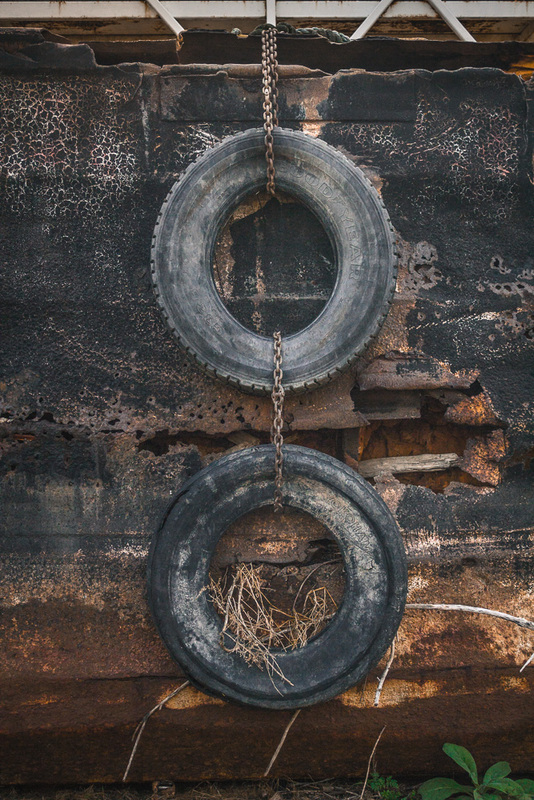 I noticed the tires hanging on these chains, with the rust, and these green weeds growing next to it. Thought it was a cool contrast of the rusting steel and growing plants. It reminded me of one of my sons favorite movies "WALL-E".